Original artwork inspired by the battle on Hoth in Empire Strikes Back. 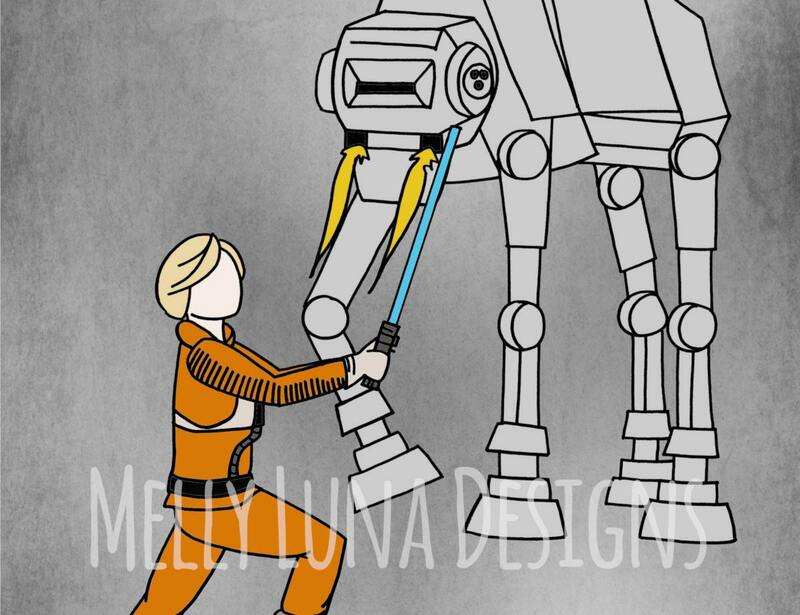 Luke takes on an AT-AT with only his Lightsaber - as we know Luke can do. Doesn't his hair look amazing?? 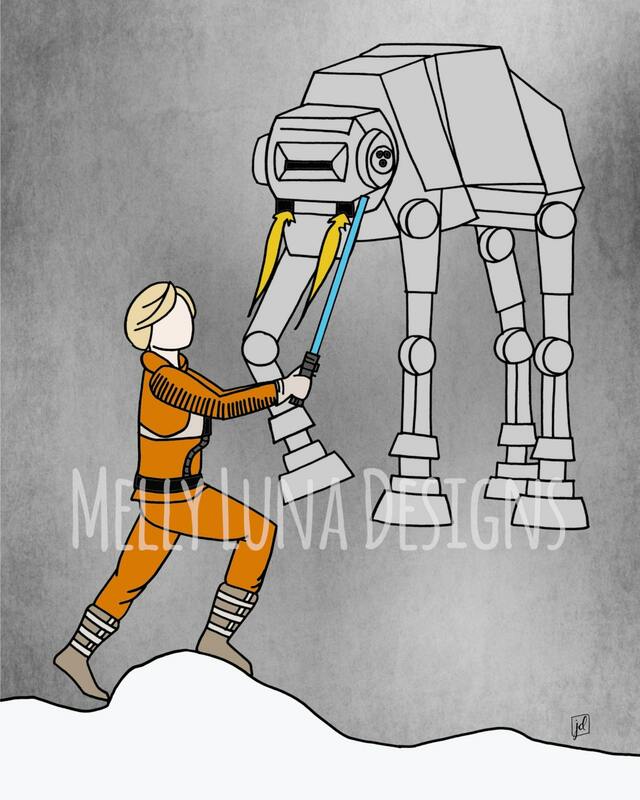 For all of us Star Wars fans out there - especially those who love Empire Strikes Back.